Scuola grande di San Rocco is a masterpiece of Tintoretto, this guild house is an exquisite example of Manierist art in its best. 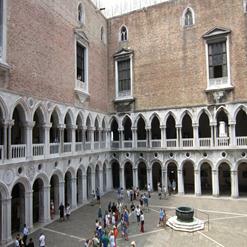 It was built in between 1489 and 1508 by Bartolomeo Bon the Younger. It is Roman Catholic Church dedicated to Saint Roch in Venice, northern Italy.